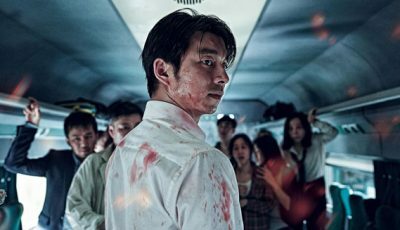 When we talk about films and car chases we need to ask ourselves a number of questions. What does it add to the film? Does it break down boundaries? Does it fit in with the plot, sub plot, characters and characteristics of the film? In 2003, The Wachowski brothers fused the real and imaginary in The Matrix Reloaded. This is particularly evident in the freeway chase, where real-life stunts and cutting edge CGI work are combined to astonishing effect. All the classic characteristics of a car chase ensue. Cars crash, bullets fly and cars turn into holographic images; combined with Morpheus coming head to head with the ghostly twins, these elements make up an epic car chase. This movie showcases Quentin Tarantino’s use of violence to empower his characters; it delivers a movie of gory and tactile imagery created perfectly by the car chase. Kurt Russell as stunt man Mike and his black 1971 Chevy Nova deliver a reign of terror, blurring chase scenes with destruction derbies. The words “road rage” come to mind throughout. However, each chase does deliver in some shape or form, even if a limb or two are the casualties for the chase’s success. 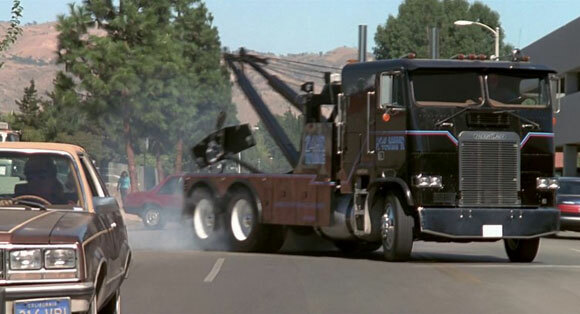 A true classic, James Cameron’s Terminator 2 delivers on all counts, no more so than the epic car chase scene. This chase makes the list for its pure dramatic importance to the movie; it’s the initial connection for both Connor and the Terminator. 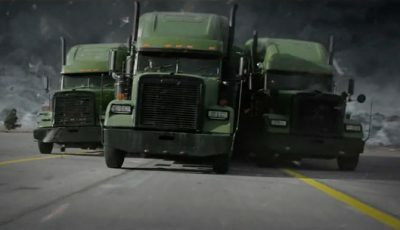 Connor is on the run from T-1000 who is smashing through everything in sight, climaxing when its truck gets chopped in half. The iconic Terminator on his Harley Davidson motorcycle joins the fray and saves the day, the first of his many heroics throughout the film and the first interaction between the three characters. Unfortunately many people are unfamiliar with the original movie Gone in Sixty Seconds and only think of Angelina Jolie and Nicolas Cage parading through the streets of Los Angeles in souped up cars. Alas, this is in fact a remake, while I have to admit it’s enjoyable, it will forever stay in my cloak and daggers file – where flash cars and exciting stunts hide a mediocre plot. In 1974 the original Gone in 60 seconds was directed, produced and starred H.B. Halicki – including all stunts. While the dialogue is flimsy, storyline suspect and acting questionable at best, it’s still remembered to this day for Halicki’s 40 minute car chase scene where 93 cars are destroyed. The movie will remain as a poster boy for questionable 1970’s indie flicks era. However, the car chase will be remembered forever. 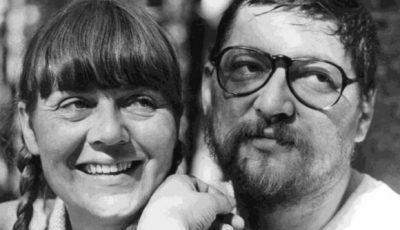 In 1971, director William Fridekin delivered five Oscars for the film The French Connection. This included best picture and best director – along with one of the most epic car chases in cinematic history. The rough-and-tumble ride where detective Jimmy “Popeye” Doyle drives a 1971 Pontiac Le Mans to pursue a hit man hired to kill him on the streets of New York, takes place across 26 city blocks under the N subway, from the Bay 50th street station to 62nd street station. 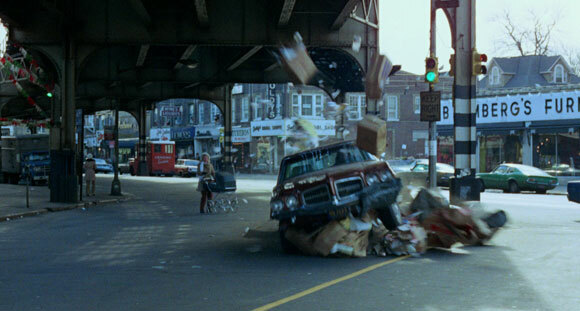 The car chase sequence was cut to the tempo of Carlos Santana’s “Black Magic Woman” and was filmed without obtaining the proper permits from the city. Every scene was filmed in one take without closing the streets; this resulted in 3 crashes, two with the stunt cars and one actual crash. 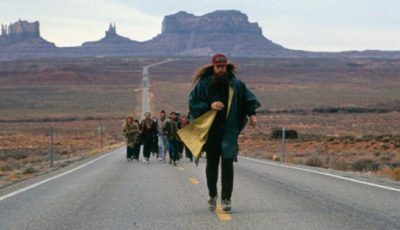 In 2001, Rob Cohen decided to take car chasing to the next level and created more chases in one film than any other in the history of cinema. Each chase aims to add a new layer to the story, and a lot of the movie relies on the chases to carry the narrative. However, the cars in fact are at times more interesting than the story. The Mitsubishi Eclipse driven by Paul Walker in the opening scene weaving through the L.A streets sets the tone of the movie and sets the bench mark for what is to come. While the Dodge Charger driven by Vin Diesel powering away from the city in the final face-off aptly shows the simplicity throughout. It may lack the elegance or complexity, say, of Drive’s chases but, as a white-knuckle ride, it’s hard to beat. The film Ronin is memorable for one reason and one reason only; the car chase. Director John Frankenheimer employed formula one pilots to drive Audi S8’s, BMW M5’s and Mercedes-Benz 6.9’s to battle each other on the narrow city streets of Paris. The thunderous chase takes place, through streets south of Les Invalides, along avenue Duquesne, avenue de Ségur and avenue de Breteuil; through the Champerret Tunnel, toward the great modernistic arch at La Defense, driving the wrong way against 300 stunt drivers along the Périphérique, ring road. The scene is masterfully shot and the driving on show is breathtaking at times. This independent film noir is a modern day throwback to classics such as Bullitt, Ronin, and The French Connection. 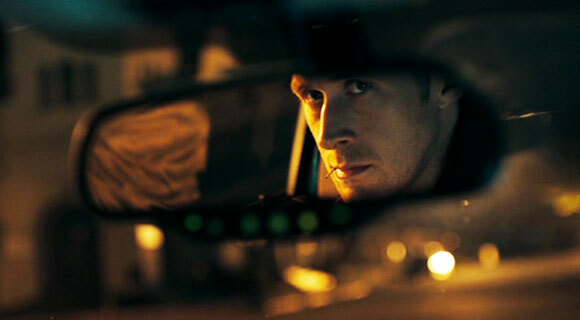 Director Nicolas Winding Refn takes a different approach to the smash and grab job of your stereotypical car chase. In Drive the chases are articulate, suspenseful and somewhat elegant giving true meaning to the saying style over substance. The number of cars used in the chases is relatively small, putting emphasis on the driving instead of the carnage. This is epitomised in the best chase scene of the movie when the Mustang GT 5.0 goes head to head with the Chrysler 300. Darrin Prescott, stunt coordinator, stated only one car was destroyed in the movie – The Chrysler 300. The movie was made on a $13 million budget and the chases and cars reflect the complexity and intensity of each character and the story. Read our full review of Drive here. 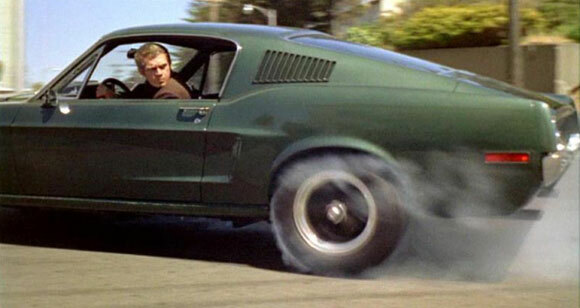 The car chase in Bullitt is the benchmark by which all other car chases are measured. Star of the movie Steve McQueen and director Peter Yates brought the best names in cinema to collaborate on creating the perfect chase scenes. Carey Loftin, stunt coordinator, stated; “McQueen wanted the best chase scene ever created”. The chases were the first of its kind filmed with live sound creating the realistic feel and setting the tone of the scene. The enduring scenes of the forboding Charger and the powerful Mustang have etched themselves in film making history. The sequences were the brain child of Steve McQueen; he knew what he wanted and how he wanted it to appear on film. No one has duplicated the electricity or the savage ferocity that manifested itself in Bullitt chase scenes, and it’s doubtful any one ever will. In 1985, William Friedkin comes up trumps in this directorial masterpiece. 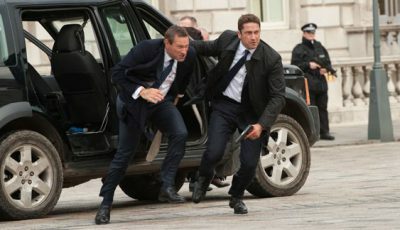 Leaving no stone unturned he creates car chase sequences that still remain unrivaled. The only director to appear twice on the list, we first saw his skills on the set of The French Connection. However, To Live and Die in LA goes one step further and somehow tops it. 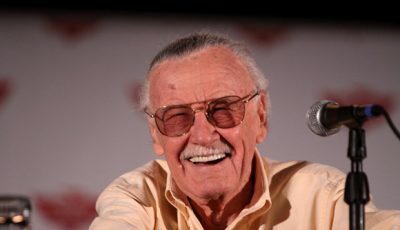 He manages to fit every man-made object ever created into the mix; from conventional to the unconventional, from cars to trains to briefcases banging against cement pillars. At one point he throws a one-way highway trip into the mix, where a car is facing oncoming unsuspecting motorists – with a compilation of Wang Chung resonating with every movement. I hope these don’t make you feel the need for speed or you may be looking for a personal injury solicitor sooner rather than later! What are your favourite car chases in the movies? Written and compiled by Olan Ahern. Glad to see ‘Death Proof’ here and I have nothing but praise for placing ‘To Live and Die in L.A.’ high on this list. Well done, Olan. I will give you points for “Live And Die In L.A.” But the director of “Bullitt” is Peter Yates not Paul. Great list. The two that I would include that aren’t mentioned are The Road Warrior final act and Raiders of the Lost Ark’s truck chase. Both of those are among the best ever for me. I haven’t seen To Live and Die in L.A., and I really need to check it out. Nice work. I love that Terminator 2 one so much! It dominated my imagination every time I got on my bike as a kid. I’ve got to see most of the classic ones on here; To Live and Die in LA, Bullitt and Gone in 60 Seconds. 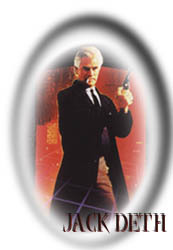 Matrix Reloaded was awesome too especially considering all the visual effects which can often ruin a good car chase! I might have worked “The Blues Brothers” in there somewhere, but aside from that, these are all great scenes! Some great alternatives mentioned. I particularly love that Raiders of the Lost Ark scene and of course the destruction derby that is The Blues Brothers. But like Olan, the first time I saw To Live and Die in LA, I knew I had witnessed something truly special and most definitely my favourite car chase of all time. I’m with Marcus and ‘Dirty Mary. Crazy Larry’. Great back woods feel to its chases. Even if the film was shot in California. Extremely pleased to see the chase in ‘To Live and Die in L.A.’ take the top spot. 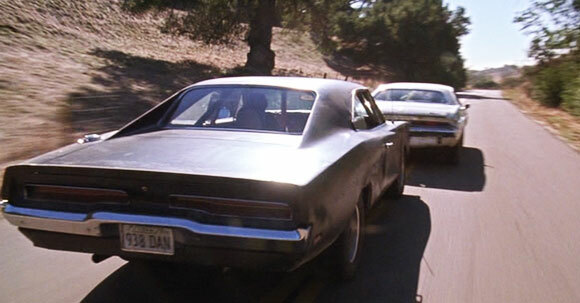 I think the chase works better than those in ‘Bullitt’ or ‘The French Connection’ because William Petersen has a partner in the back seat (John Pankow) to react to and yell at. Honorable mentions would include Barry Newman as “Kowalski” in ‘Vanishing Point’ and Warren Oates’ “GTO” and Brian Wilson’s “Driver” in ‘Two Lane Blacktop’. Though technically “Race and Road Flicks” both are very well executed and have an excess of suspense. Given my love for action movies I’m so glad you guys decided to do a Top 10 Car Chases. I agree 100% with placement on this list. 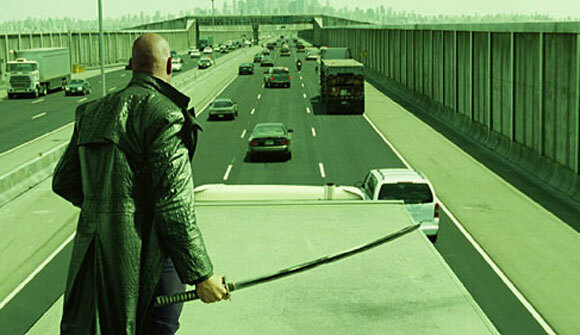 The Matrix Reloaded’s chase sequence is made even more impressive by the fact that they built their own 1 mile stretch of highway to shoot that whole scene. Death Proof continues to blow me away every time I watch it, getting better by the viewing. Terminator 2 also manages to impress me by how well it has aged. I respect Drive’s chases even if I didn’t dig the movie overall. Numbers 1 and 2 are my all-time favorites as well. Bullitt is just a classic, and To Live and Die in LA is incredibly frantic, especially the portion where they’re driving against LA highway traffic during rush hour. No wonder Friedkin made this list twice. Surprised you didn’t mention Vanishing Point or Blues Brothers, but that’s okay because I think Vanishing Point is overrated. Glad to see Gone in 60 Seconds in there. The film itself is pretty amateurish and B-grade but that car chase is impressive given the budget and how long it goes on. …was making my way down the list and wondered where To Live and Die in L.A. was…and then it appeared, right where it should be. Easily the best. 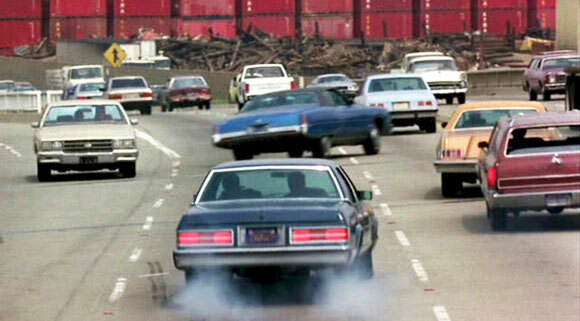 No other car chase in a Hollywood film comes close. Good list, I really liked the chase scene in “Drive.” One chase scene that wasn’t on the list that I really enjoyed was from “The Dark Knight” where the Joker is driving the semi-truck. Then again, I don’t know if Batman’s tumbler counts as a car. Wouldn’t say the list is meaningless without 7 Ups, but the sorta/kinda sequel to The French Connection should have been there. I actually thought it was better than the one in Bullitt. Seem to recall Fear is the Key also had a car chase in it that went for a while as well (suggesting that perhaps Barry Newman should get a mention somewhere). What about The Italian Job? (original) or The Burglars? One overlooked Friedkin car chase is in Jade, which has a hefty dose of misogyny thrown in at the start. 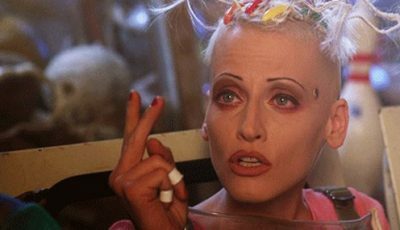 Admittedly it’s not as good as the ones in Connection or LA, but it was the highlight of a pretty awful film. Love this list! Like someone mentioned above, I’d also include The Blues Brothers, and I’d have left Drive off this one. Drive’s chase is good, but not THAT good. Every so often I stick Bullit on to demo that car chase just for the hell of it, such an awesome film. It’s a shame the rest of To Live and Die in L.A. didn’t age as well as the car chase. Excellent list. I think Death Proof and The French Connection will always be my favorites. But Drive’s (as you say) elegant approach was really refreshing. I haven’t seen some of these, but the ones I have are indeed impressive. I was a bit surprised to see The Matrix Reloaded car chase here, but I feel I would have included on my own list too. I also had no idea the car chase in the original Gone in 60 seconds was 40 minutes long! Now, that’s impressive.